Christina S.W. 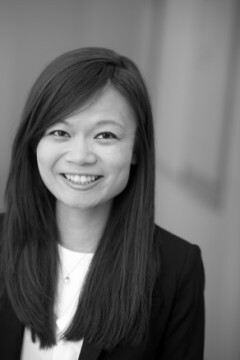 Kwok is a lawyer with Oyen Wiggs Green & Mutala LLP, a boutique firm practicing in the area of intellectual property law. Christina’s practice includes advising clients on all aspects of intellectual property law, with a particular emphasis on trademark filing and prosecution and patent prosecution in the areas of chemistry, biotechnology and mechanical devices. Christina was called to the Bar of British Columbia in 2015. Christina received her Juris Doctor from the University of Victoria. While completing her law degree, Christina participated in the Harold G. Fox Moot. She was also on the editorial board for the University of Victoria Faculty of Law academic journal, “Appeal: Review of Current Law and Law Reform”. During her studies at the University of Victoria, she received prizes in Intellectual Property law and Civil Procedure. Christina has a Bachelor of Science (Honours) degree in Biotechnology with distinction from the University of British Columbia. Prior to studying law, Christina worked as a research associate at a local biotechnology company.